This telescoping ladder stows small, for boats with short transoms. 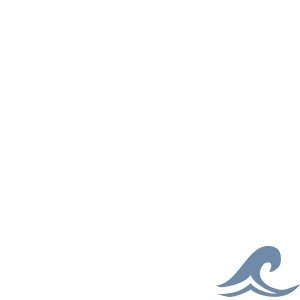 It is ideal for bass boats, where users typically want a permanently mounted ladder that is out of the way, but there if they fall overboard. Typical boarding ladders deploy at a 15 degree angle, but this ladder sticks out at a 30 degree angle and can clear most trim tab installations. 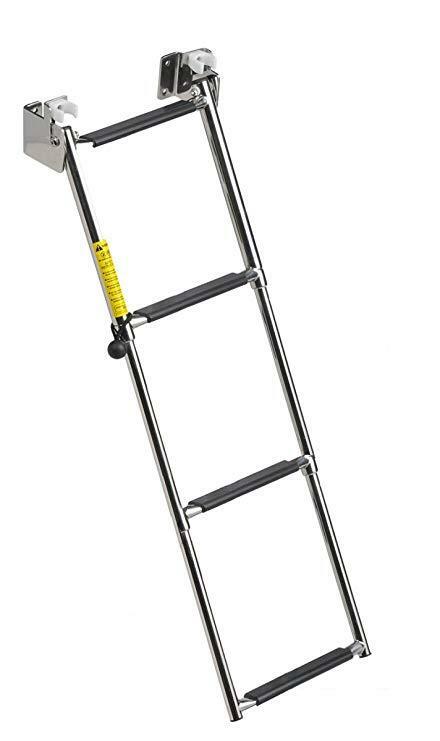 Another, often overlooked, advantage of this ladder is that it is strong enough to support heavier fisherman. Features: Folds down and telescopes into water. 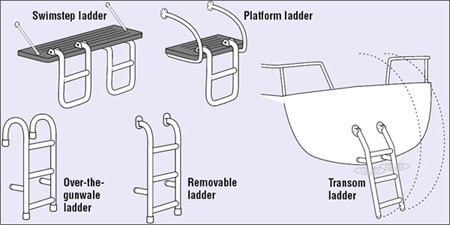 Self-locking brackets hold ladder secure against transom. 4 step model allows for a more comfortable angled step-up access underwater. Bungee cord securing strap included. Nylon bushings between ladder sections provide smooth deployment. Designed to allow for boarding at transom - mounts directly on transom. 304 stainless steel - rated to 400 lb. 10" wide overall.